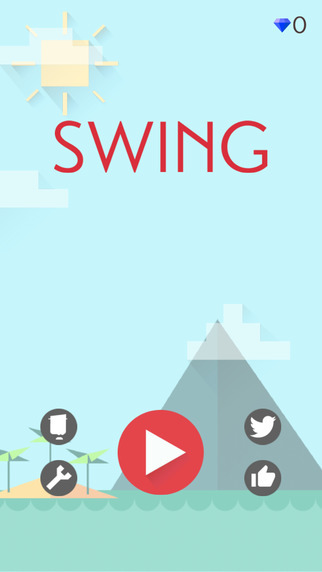 This is going to be a really quick review for the simple yet challenging tapping game, SWING. 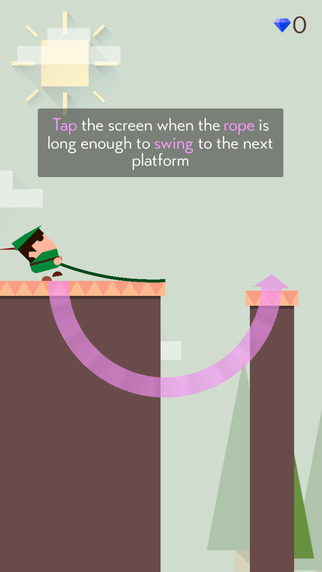 Swing is a game where you try to get your player from platform to platform via a rope swing. 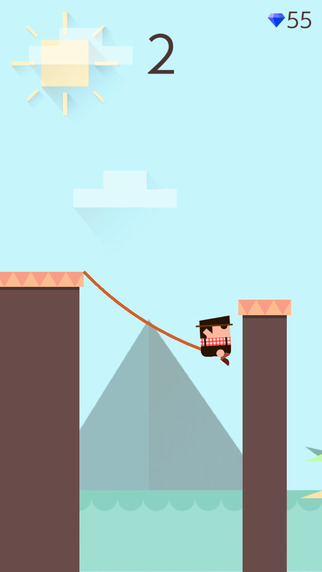 It seems simple enough but the challenge comes from trying to approximate the correct length of rope needed to make it to the next platform. What makes this task even more difficult is that each platform can vary in width and height adding another layer to the challenge. Swing isn’t anything new though. I’ve seen other games like this in the past and if you’ve played something like this, the only reason you’d pick this up is because of the different art work or because you wanted to download something “new” that doesn’t require much effort. This is the very definition of a casual game that you can pick up and play for a few seconds or a few hours. 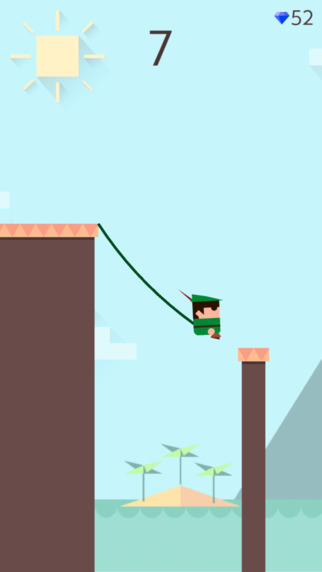 Swing keeps you coming back for more in order to beat your highest score or to unlock new characters to use. 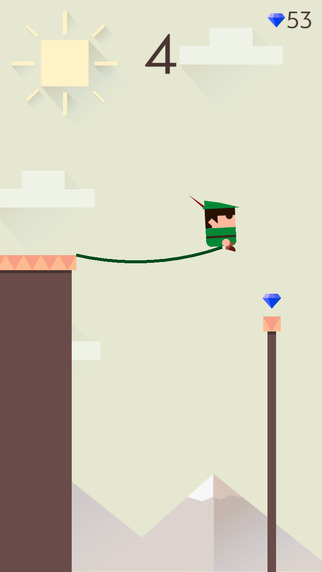 Other than that, Swing is a decent time waster when you got nothing else to do.